Use the energy calculator below to see how your actual annual energy consumption compares to the average home in your area. It covers England and Wales and includes a gas and electricity cost calculator. Specific data from Scotland is not available at the moment but we hope to add it soon. Enter your property details . Look at the calculator results section. The energy calculator displays energy consumption and cost for a year, month and day. To include electricity costs & gas costs from your own bill (rather than the calculator’s default prices) adjust the sliders below the calculator results section to correspond with the tariff you pay (including VAT). Compare the results with the energy usage from your own electricity and gas bills or the annual energy statement provided by your energy supplier. Your latest bill should also contain an estimate usage for the last 12 months. The default calculator settings use national information for all properties of all housing types and ages. It also assumes a gas connection and that the home is not using economy 7 electricity. 2019 energy costs are based on popular tariffs from major suppliers. For some combinations of property details there may be no data available; in this case chose the closest property match to your home. 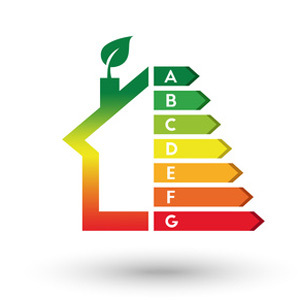 Enter your own property details and see the average energy use and energy cost for your type of property below. Take these from your gas and electricity bills (inc VAT figures). What do you do with your energy consumption comparison? When comparing your own energy use against the annual averages above, do allow for variations by season if using energy figures for a day a week or even a month. In winter, with central heating used much more, daily gas use will be much higher than the average daily gas use calculated above. Likewise, electricity use will generally be higher when nights are longer or when more cooked meals are prepared. If your energy consumption is above average then there are a number of things you can consider doing. The energy calculator uses National Energy Efficiency Database (NEED) data for 2016 (data published June 2018) to show the average electricity and gas usage for a specific type of property. Typical pricing is based on the assumptions below. Actual prices will depend on your supplier and tariff. The energy cost calculator assumes the prices below and that 40% of Economy 7 electricity consumption is at the night rate. These rates can be adjusted using the sliders. Hi Michael, Thanks for the feedback and suggestion. It would not be possible to use volume of gas to compare usage as the calorific value of natural gas can vary depending on the source of the gas and its exact composition, making gas volume an unreliable measure of energy use. That’s one of the reasons why a unit of energy (kWh) is used for charging purposes on bills rather than volume. Different countries have different standards. In the UK calorific values of natural gas can legally vary by upto 14% on a daily basis. Example: if volume was used then your meter could show that you had used 5% more gas (volume) than last year even though in reality you had actually used 5% less energy than last year (and assuming a constant gas price would have been charged 5% less as well). UK gas suppliers have to maintain the energy content in the gas transmission network within the band 37.5 MJ/m3 to 43.0 MJ/m3. This means that the energy content can vary between 10.4 kWh and 11.9 kWh per m3. Suppliers calculate the energy content daily and then average it for the length of your billing period They then use a conversion factor to show the cost in kWh when they bill customers to ensure that users are charged for actually energy content rather than volume. That’s one of the reasons why there are 13 different gas supply areas in the UK as it would be very hard to provide a single calorific value throughout the network given that the gas could come from multiples sources like the European continent, the North sea or LNG delivered by ship to Milford Haven and would depend on which part of the network the gas was inserted into. Generally I understand that the variations are more to do with location than time (i.e. the calorific value in any one place is relatively stable but two places far apart on the gas network could be very different) unless the local inputs to the gas network change significantly. When Milford Haven LNG terminal came on line I would have expected the Welsh calorific values to shift. Hope this explains why kWh’s are used.